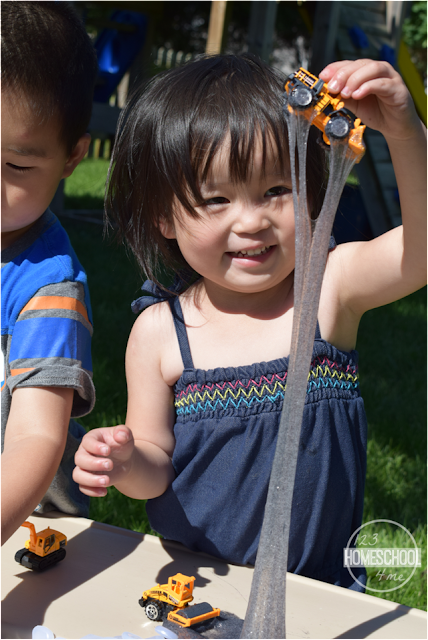 Kids will have a blast digging, mixing, and dumpling this amazing, 2 ingredient Construction Slime for a truly outrageously fun kids activity. 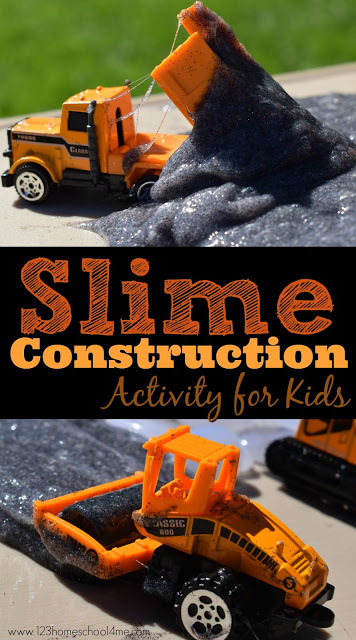 Today we decided to use our slime with a fun construction activity that was a hit with all my kids ages 3-11. 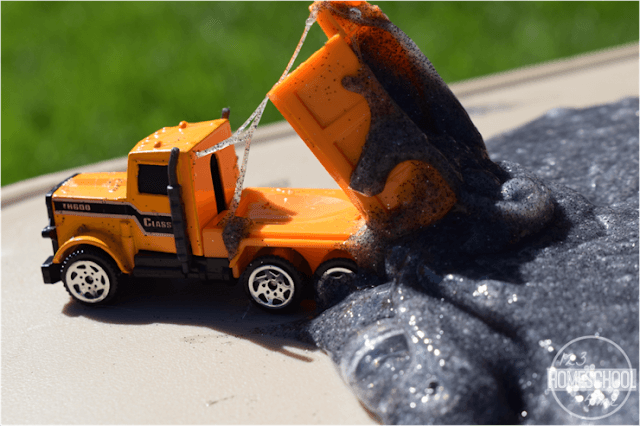 We started by whipping up our favorite 2-ingredient WOW Slime using 2 bottles of this black glitter glue and Sta-Flo. 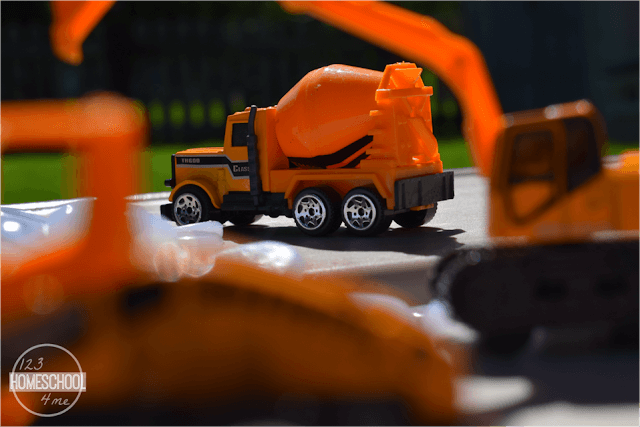 I laid out our fun-to-play-with WOW Slime, rocks, and construction vehicle for morning of play and fun. 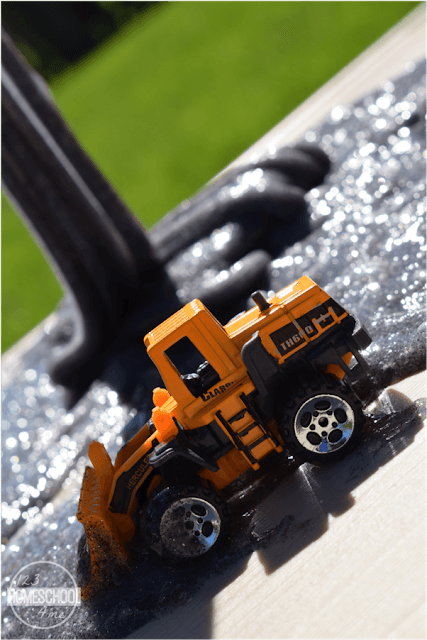 The kids loved loading up and dumping the road construction slime out of the dump truck. The plow would push the slime over to build more roads. 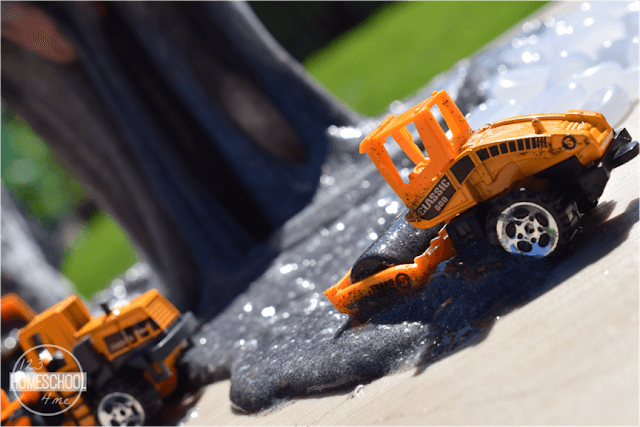 My toddlers thought it was hilarious how trucks would stick in the stretch slime. 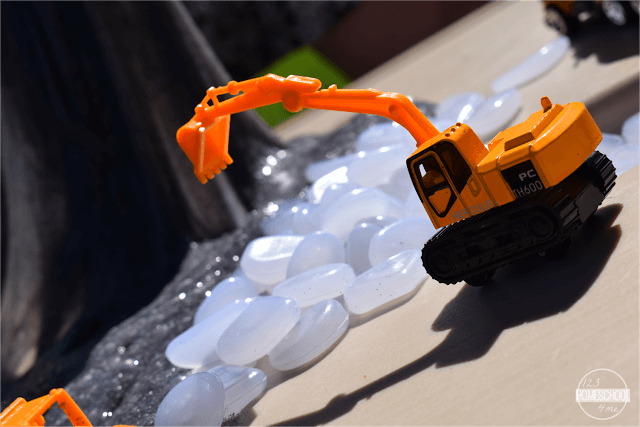 This is such a fun tactile experience for kids of all ages. This slime recipe is cinch to whip up and is the best slime recipe ever! It oozes, sheets, slimes, and easily cleans up with not mess!